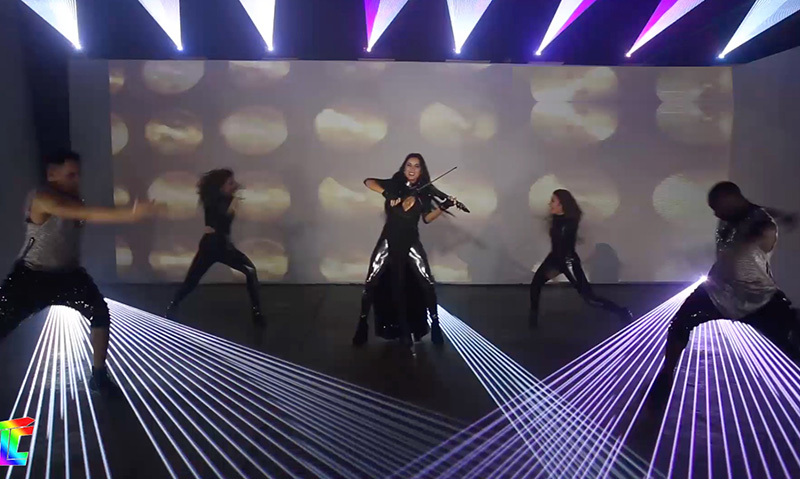 Powerfully exciting laser entertainment featuring dancers and an electric violin player that starts with high-energy and goes UP. Laser beams, laser aerials, and unique laser show effects that dazzle with brilliant colors, and custom soundtracks that are designed for your group. TLC Creative has been providing laser shows for corporate and private events for many years, and the expertise of the TLC team is unmatched in the laser display industry. Projection effects and LED effects are used to embellish multimedia shows that can be staged almost anywhere. TLC laser expertise extends into film and media production, and live television. TLC lasers have been featured on Dancing With The Stars, American Idol, America’s Got Talent, Billboard Music Awards, American Music Awards, and numerous tv ads and reality shows.